Soap as cleansers have really fallen out of fashion in recent years. It’s now making a comeback, just not as you might remember it. This is Cor Silver Soap, a facial cleansing bar made from tiny particles of silver. Silver has a long history of being used in medicine to fight bacteria, but how does this translate to skincare? The silver silica compound in the soap works to block bacteria, then absorb the active, natural ingredients to nourish the skin. Actives include Vitamin A, marine collagen, hyaluronic acid, jojoba, aloe and avocado oil. There’s a lot going on in there. Cor, what is it good for ? 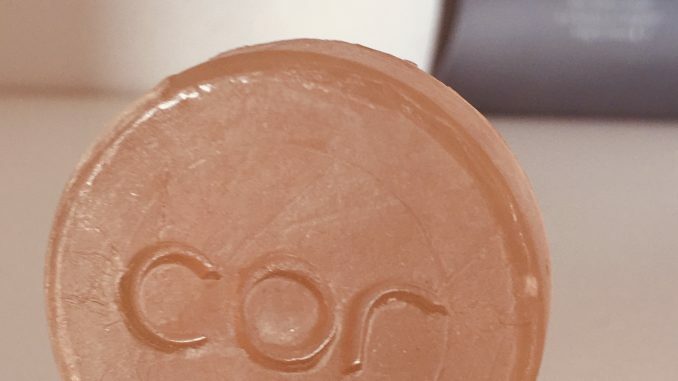 The makers of Cor Silver Soap say that it’s particularly effective on acne, and can also help with calming inflammation, tightening pores, stimulating collagen and absorbing excess oil. If you have oily skin that’s prone to spots, or suffer from eczema then this is a great one to go for. I haven’t been able to fully test these claims, but I will say that word of mouth and online reviews are excellent for this product. It won Best Cleanser, Men’s Grooming and Best Cleanser for Skin prone to breakouts in the 2016 Beauty Shortlist Awards, and Editor’s Choice in the 2017 Beauty Shortlist Awards. Made in Korea and based out of Brighton in the UK, the soap itself is an opaque honey colour. It reminds me of the Pears soap I used to use as a child. Did you ever use that? 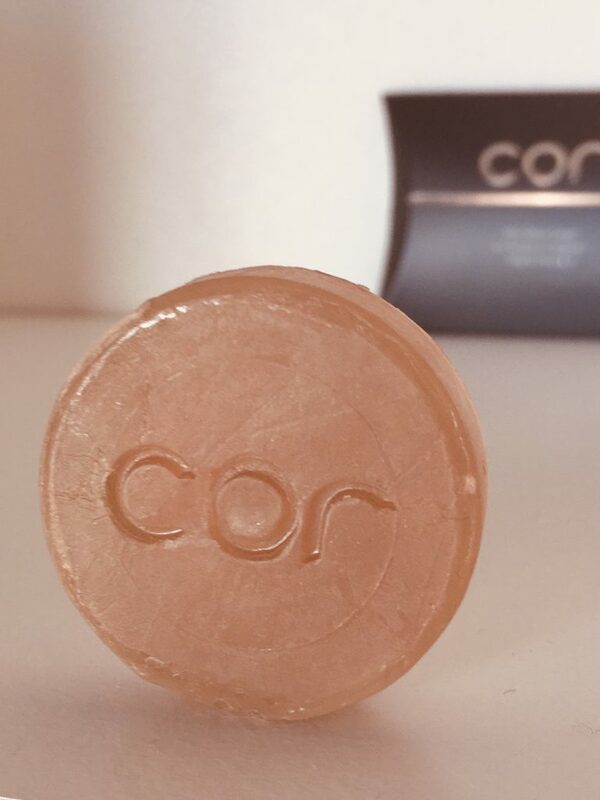 Cor is a simple, yet luxurious product that feels very different to any other soap I’ve used. The lather is incredibly creamy, almost like a cream cleanser consistency. It removes makeup easily and left my skin feeling very clean and soft, but not dried out. For best results, apply the lather to your face and leave it there for a minute or two, like a face mask. Use this time to wonder whether silver soap would be good for Doctor Who, or Cybermen, or both. This gives the active ingredients a chance to get to work before being rinsed off with a splash of water. The trial size bar lasts around a month, so plenty of time to put the silver to the test. Let me know how you get on with that DW/Cyberman conundrum. Cor Silver Soap is widely available from outlets including Harrods Pharmacy, Harvey Nichols and Cult Beauty The bar shown here is the 10g trial size, which lasts around a month and retails at £16. The 30g travel size lasts up to 3 months and retails at £39. Finally there’s a whopping great 120g signature size which retails at £115 but should last up to 9 months. Check out the various options here.